A fascinating read that takes a fresh look at the two early Whitechapel murder victims, Emma Smith and Martha Tabram. Because it’s reevaluating the scant information relating to the two murders (touching also upon others of similar ilk) and postulating new interpretations, it’s the kind of book that raises more questions than it answers. Nonetheless, Wescott writes with an intelligent and balanced view, and with meticulous research paints a vivid picture of East End life in late 19th century London, in particular the dingy doss houses and the shady people who ran them. In this book, famed FBI criminal profiler Douglas examines half a dozen unsolved murder cases, including the infamous Whitechapel murders of 1888. Using his extensive knowledge in the areas of profiling and crime scene analysis, he presents a fascinating and plausible case for the type of person old Saucy Jacky may have been, by looking at such things as victimology, M.O. and signatures. Succinct, well-written and well thought out, this is a must-read for anyone interested in Jack the Ripper. 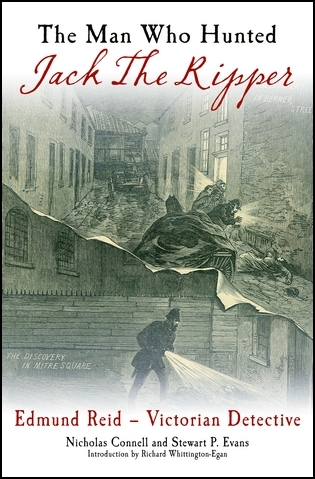 Two of the leading authorities on Jack the Ripper give a succinct and well-written history on the crimes, myths and cultural significance of Saucy Jacky’s exploits. The book is more of an overview rather than a detailed analysis of any one particular topic, so while it’s certainly not essential for the seasoned Ripperologist, it’s a good introduction for neophytes to the times, crimes and lasting impact of this most infamous of murderers. For a long time, this was THE Jack the Ripper bible. A little dated now, this is nonetheless still a great introduction to the Ripper for anyone wanting to learn about the case, and Rumbelow writes with confidence, intelligence and objectivity. A wonderful book. An amazing book that contains entries on just about every person linked to the crimes of 1888 (such as suspects, victims, police officials and authors). 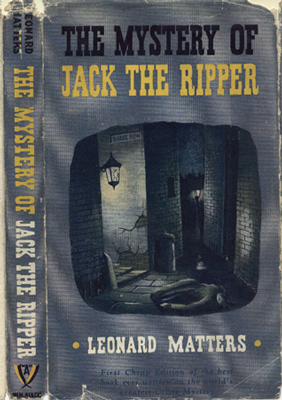 The encyclopedia of Jack the Ripper books. The benchmark all other JTR books are now judged by. This is the best, most comprehensive study of the Ripper case ever written. Extremely well-written, Sugden manages to evoke the atmosphere of the times, while staying true to the facts of the case. If you only read one Ripper book, make it this one. I admit, I have a bit of a bias towards this book. Yes, it’s well-written; yes it presents the case in a tight, concise manner. But it also happens to present the case for one of my preferred suspects – David Cohen. Fido stumbled across Cohen by chance, while researching well-known suspect Aaron Kosminksi, and the reasons he presents for his inclusion of Cohen as a suspect are plausible and convincing. One of the better suspect-based books. One of the books that really got my interest in the Ripper case firing, this was, at the time I first read it (at age 14), a deeply involving, sometimes horrific, and credible tale. I genuinely believed that Maybrick was the Ripper, and had written the diary. Nowadays (more than fifteen years later), I think the diary is a badly written, though still entertaining, bit of fiction, and the book itself, as written by Harrison, merely an adequate re-telling of the Ripper crimes and investigation. The debate over the authenticity of the diary (and pocket watch) may still be raging, but there’s no doubt in my mind – the diary is fake, and there are much better books out there for a beginner to dip their feet into. The very first JTR book I ever read. This presents the argument that Montague John Druitt was the Ripper, and while it seemed a perfectly reasonable conclusion at the time, I now place Druitt very low on my list of suspects. An enjoyable read, and one of the better pre-Rumbelow books. Without question, one of the best suspect-based books to be published. House writes clearly and succinctly about popular contemporary suspect Aaron Kozminski. There are no wild accusations or lapses into fantasy here: just a concise history of the crimes, and a fascinating examination of Kozminski’s background and personality (what little is known about both, anyway). This book gives a new lease on Kozminski as a plausible candidate for the Ripper. If you buy only one suspect-based book, make it this one. Presented in casebook form, this is one of the best Ripper books to come out in recent years. If you are mostly interested in the Whitechapel Murders themselves – the victims, the locations, the witnesses – then this is the book for you. It goes through each of the murders and presents the facts of the case, complete with a wealth of photographs, maps and interesting tidbits about pertinent people and places. A highlight of the book are the numerous CGI artworks, by Jaakko Luukanen, depicting street scenes, mostly to do with the murder locations. These are stunningly detailed and atmospheric and really bring to life Victorian-era London during the Ripper’s reign. A worthwhile purchase for both seasoned Ripperologists and those new to the case. A recent case-study book that gives Sugden’s book a run for its money for being the most detailed and comprehensive book on Jack the Ripper. For me, while the book is incredibly well-researched, it falls short of Sudgen’s work. I found the writing drier, and there’s almost too much information presented that it bordered on fact-overload. Still, if you want to read the most thorough examination of the JTR case, then look no further than The Facts. Here we have arguably the most controversial and infamous of all the Ripper books. While the Royal conspiracy had been around a few years prior to Knight’s book, this was the spark that ignited the most famous of all the suspects – the Royal Masonic trio of Gull, Sir Robert Anderson and the coachman, Netley. Mostly a work of fiction, The Final Solution is nonetheless a supremely entertaining read, and was the (loose) inspiration behind the wonderful 1988 mini-series starring Michael Caine as well as the graphic novel From Hell. 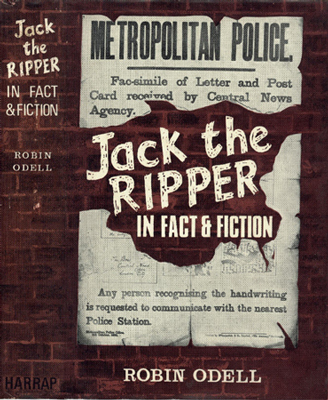 Odell’s book has since been eclipsed by subsequent Ripper tomes such as Rumbelow’s The Complete Jack the Ripper and Sugden’s The Complete History of Jack the Ripper, but for its time, In Fact and Fiction was one of the most logical and level-headed examinations of the case, with excellent research. Odell sensibly debunks a lot of the myths and theories surrounding the Ripper, and his own conclusions about the killer are more plausible than most (although I think a shochet is less likely than an ordinary slaughterman). A beautifully presented book, this collects a good deal of the letters written during the time of the Ripper scare. Along with reproductions of the most famous letters (including the ‘Dear Boss’ letter, ‘Saucy Jacky’ postcard and ‘From Hell’ letter), here you’ll also find a great deal of the lesser known communications, written by journalists, bored housewives and nutters (though none, most likely, by the killer himself). Many of the letters are reproduced in colour for the first time, and together with fascinating analysis of the letters by the two authors (who are renowned experts on JTR), this book is a worthy inclusion in any Ripperologist’s library. A succinct and fascinating account of the acquisition and history of the wonderful Whitby collection of photographs (which includes many scenes of the Ripper crimes as they were in the early ’60s) begins this slim but excellent book. Following on from the Whitby collection is the story of the Ripper case’s most startling find of recent times: the Dutfield’s Yard photograph – which is the only known photograph of the scene of Liz Stride’s murder. The author recounts how he came to acquire this incredible photographic discovery, and his attempts at trying to identify the photographer. A must-have for Ripper-buffs. An excellent addition to the long list of Ripper books, as written by two experts in the Whitechapel murders and also former policemen. 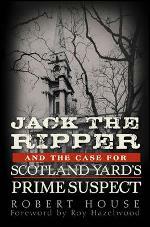 The first part of the book takes an in depth look at the history of Scotland Yard, as well as the major players in the Ripper investigation. Then it’s onto the Ripper murders themselves, and the authors take a refreshing and sobering look into the crimes and suspects, debunking a lot of the myths that have sprung up over the years. Even if you’ve read a lot about the case and think you know it all, you’ll still come away from this book with new information and a new perspective on aspects of the case. Merely an average Ripper book; a simplistic re-telling of the case, and the reasons Paley puts forward for implicating his suspect, Mary Kelly’s lover Joe Barnett, are superficial and unconvincing. There are worse Ripper books out there, but there are also much better. Not a book, but a large double-sided map of the Whitechapel/Spitalfields area during the time of the Ripper murders. Every street, alley, doss-house and other areas of interest are included in this easy-to-read map. On the back are close-up diagrams of the five murder sites, highlighting the details of each area and where the bodies were discovered. Now Ripperologists everywhere can pour over the labyrinthine East End where Saucy Jacky stalked the streets. Excellent compendium, consisting of the key facts of the case along with essays by a host of notable Ripperologists, covering many aspects of Ripperology. If you’ve never read a book about the Ripper, and don’t know where to begin, this is a good place to start. 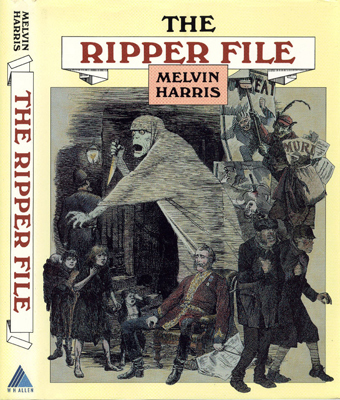 Abberline may be the more famous Ripper hunter, by Edmund Reid was THE Ripper detective. This account of his life makes for a most interesting read. Aside from his connection to the most famous of unsolved crimes, Reid was also a damn fine policeman and a fascinating chap in his own right. At last, a biography of the main detective in the Ripper murders. Recommended for Ripper enthusiasts. An important book in the Ripper cannon, being the first full-length English publication about the crimes. It’s not terribly well-written – Matters puts far too much of his own thoughts and suppositions into the text – and the Dr Stanley theory is absurd, with no real evidence to back any of it up. Still, it makes for fascinating reading, mainly because it illustrates just how far we’ve come with our knowledge and understanding of the Ripper crimes in the 80-plus years since the book was first published. For me, the highlight of the book was Matters’s account of his trip to Miller’s Court, which was demolished shortly after, making him one of the few – if not the only – author of a full-length Ripper book to have visited the site of Mary Kelly’s murder. Overall, a historically interesting book, but not an especially great one. This poor excuse for a ‘true crime’ book is full of errors and wild speculations regarding the identity of the Ripper. For me, what hurts the most is the arrogance Cornwell displays throughout the book. She’s not only convinced she’s solved the case (and see how easy it was? All this time, all we needed was a crime fiction writer on the case…! ), but is so damn proud of this ‘fact’. You can feel her smugness seeping off the pages. But in order to ‘prove’ her theory, she uses dubious forensic links and the most superficial elements of criminal profiling to do so. And in the end, all she proves is that Walter Sickert is a poor choice of suspect. I wasn’t quite sure what to make of this book. While it contains a comprehensive collection of contemporary illustrated papers dealing with the Ripper case, as well as many press reports, which ripper-enthusiasts will sure to find of interest, the book is too brief in its recounting of the crimes to appeal to a general audience. The book also takes a strange left-turn towards the end, into Harris’s pet-suspect, Roslyn D’Onston – which, again, is too superficial to be of great interest (readers interested in D’Onston are best advised to pick up Harris’s other books on D’Onston: The Bloody Truth and The True Face). More of a catalogue of contemporary news items than an account of the crimes, this is a bit of a mish-mash of a book, but one not without some merit, and will appeal more to hard-core Ripper-buffs. An eclectic range of essays, covering a broad spectrum of topics relating to the Ripper murders and the East End in Victorian times. While most of the essays make for interesting reading, not all hit the mark: some were a bit dry, and a few left me scratching my head at their inclusion in a so-called ‘best of’ collection. Still, overall, a worthwhile read. Another merely adequate Ripper book, this one dealing with Harris’s favourite suspect, Robert D’Onston Stephenson. Not a bad suspect-based Ripper book, and Stephenson is an interesting candidate (though not a likely one). Worth a read. 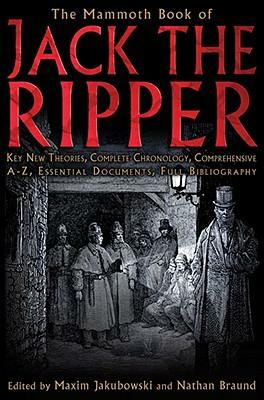 A must-have for anyone interested in studying the crimes of Jack the Ripper. Not a traditional account of the murders and investigation, but a collection of the official inquest transcripts, police reports and newspaper articles, making it indispensable when sorting the fact from fiction. One of the lesser Ripper books I’ve read. I found Dr. Williams to be a poor suspect (based on the rather tenuous links the author gives as to why he suspects his uncle), and the writing itself dull and not particularly compelling. Only recommended for completists and not for those wanting an introduction to the case. A wonderful coffee-table book that covers the crimes and investigation succinctly and with an easy-going, compelling voice. Chock-full of photos, including gorgeous colour photos of many of the modern-day locations in Whitechapel. The perfect introductory book, or for school projects. If someone is interested, I could help with translation. It counts as the German standard item for ripperology, why not in English?